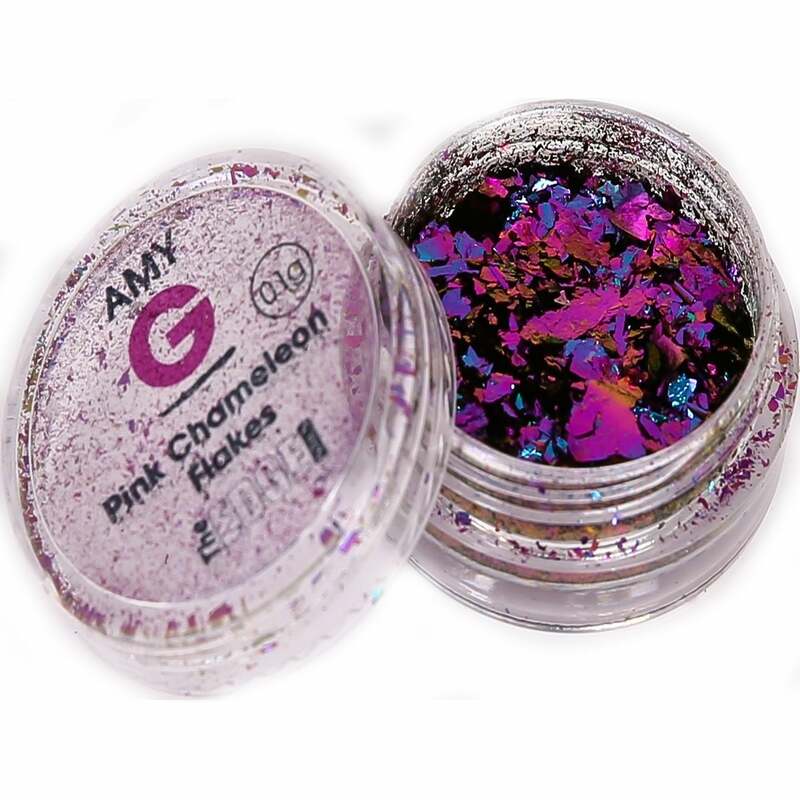 The Amy G Nail Art Collection consist of 3 colour changing chameleon nail art flakes. Which have been carefully selected and tested by Amy G herself and all the team at Edge Nails. To help give your nails more of a amazing colour changing effect.. The chameleon flakes are light weight and fluffy. The "Chameleon Flakes" are premium quality, they help create a colour changing effect, with a top coat is applied. The pink flakes create a pink/blue/green effect. The pot is oversized, this allows the flakes to move around and not get stuck to each other. Please refer to the image to see how the product looks, with the "Chameleon Flakes". The Edge Nail brand was established in the late 1990s & has continuously grown. Becoming one of the UK's leading professional nail care brands. Their factory, warehouse & customer service team are all based in the UK. With an aim from the start of always providing a variety of innovative professional nail care products at a affordable & realistic prices to their many customers.